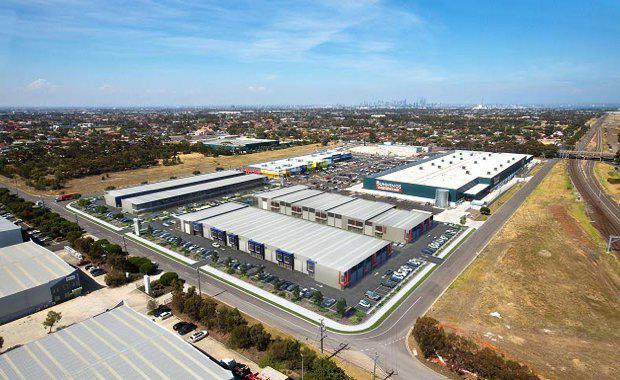 Property fund manager Folkestone has entered into an agreement with BWP Trust to acquire a hectare of land at 290-298 Millers Road, Altona North, to undertake Stage 3 of its Millers Junction project. Millers Junction Retail masterplan has secured unanimous support from Hobson Bay Council and is now subject to final approval before the Victorian Government’s Planning Panels Victoria hearing in July 2017. The Stage three plans provide for a new mixed commercial development of 13,286 square metres to include a new full line Woolworths supermarket, approximately seven large format retail stores and five shops. The plans also include for five smaller parcels of land around the road frontages for future development. The development proposal would create an attractive and modern mixed commercial centre for the community with a focus on pedestrian access, new shared bike and pedestrian pathways along Chambers Road and Cabots Drive, and extensive landscaping zones over 10% of the site. Folkestone also announced that they will, in a joint venture with Wilmac, will develop 'Millers Junction Business 2', a further 2.2 hectares of Folkestone’s land at Altona North into 76 office and warehouse mews with an end value of approximately $28 million. Millers Junction Business 2 will be immediately adjacent to the proposed Millers Junction Retail and directly opposite Folkestone and Wilmac’s first enterprise park development, Millers Junction Business, which comprises 71 office and warehouse mews. The expansion of the enterprise park at Millers Junction followed the success of Millers Junction Business which is on track to be completed later this month, some 18 months ahead of schedule. Construction of Miller Junction Business 2 is expected to commence in early 2018. "We are pleased to have reached agreement with BWP Trust and Woolworths Supermarkets to enable us to deliver Millers Junction Retail," Folkestone Head of Real Estate Ben Dodwell said. "This, together with Millers Junction Business 2, will deliver the final stage of the Millers Junction masterplan and demonstrates our ability to use our balance sheet to secure and develop investment grade real estate across multiple sectors. The 3.4 hectares of BWP Trust land will be amalgamated with approximately 2.2 hectares of Folkestone’s existing land holding to create Millers Junction Retail.